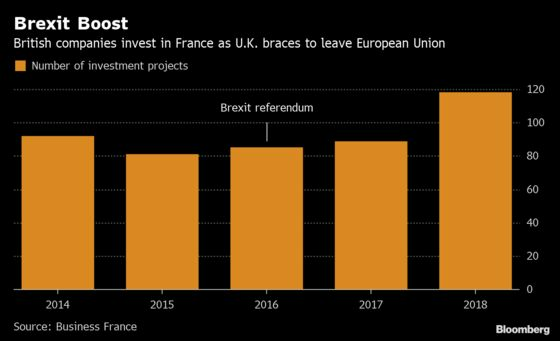 France is already reaping some Brexit benefits with the number of British investment projects on French soil rising 33 percent in 2018. That means the U.K. made up 7 percent of all projects from foreign investors, according to Business France, which said that British companies accounted for a large share of investments in financial services. “It’s difficult to draw conclusions, but there is clearly a Brexit effect,” said Pascal Cagni, who heads the government agency that promotes French business.